How can I locate a CaratLane store near me? You can find a list of CaratLane stores at this link: https://www.caratlane.com/stores. How does the 'gram for gram' offer work? The transaction shall only be initiated upon the express instruction of the customer to CaratLane through its online, call centre or retail executive.  Your SafeGold balance can be utilised towards the gold weight in the jewellery item selected by you, but cannot be utilised towards making charges or other costs such as synthetic or precious stones, etc. We would love to hear about your experience! Get in touch with us @ 888 1000 800 or email at care@safegold.in for comments, suggestions or queries.  This offer is conditional upon your having an adequate SafeGold balance at the time of making the purchase through CaratLane. 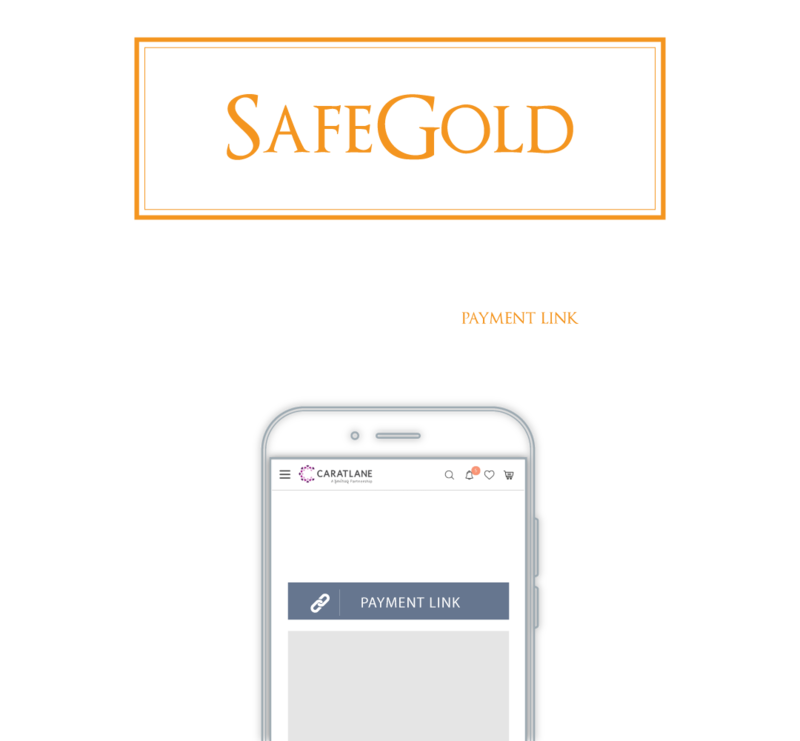 Your SafeGold balance cannot be utilised against the purchase of gold coins at CaratLane.  There is no minimum quantity required for the exchange of SafeGold balance for CaratLane products. Additional charges must be borne by you. Cash on Delivery and EMI option is not applicable. All orders should be prepaid. SafeGold is not responsible for the quality of jewellery provided to you by CaratLane.  By communicating the redemption code to CaratLane, you agree to allow SafeGold to debit your SafeGold balance to the extent required for the purchase of your chosen item of jewellery. Therefore, for 5 gm of 99.5% Purity, the SafeGold balance after conversion corresponds to 6.633 gm of 75% (18KT) purity. 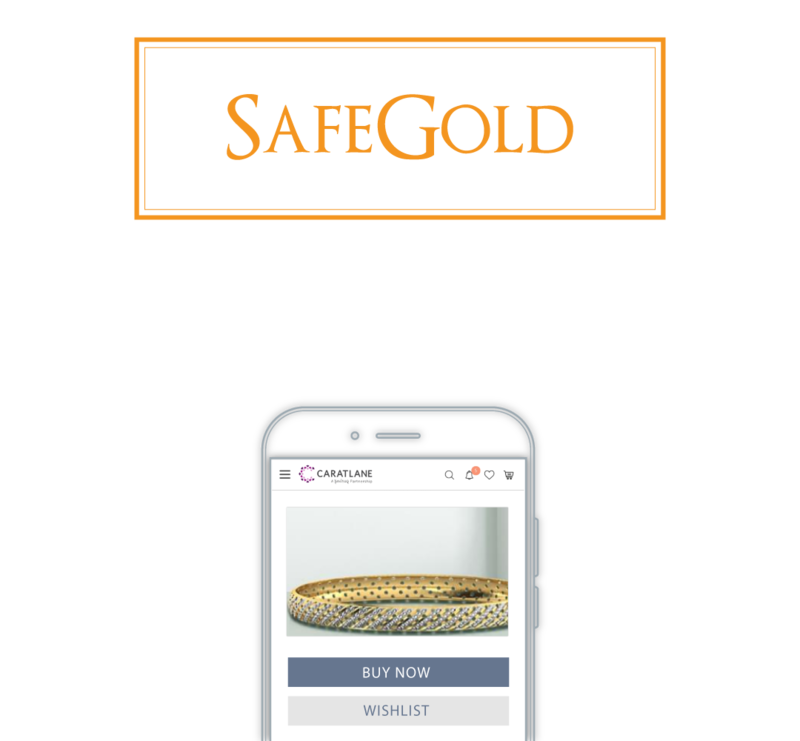 Products purchased through SafeGold are not eligible for a 30-Day Money Back or BuyBack policies from CaratLane. Only Lifetime Exchange applies. The prevailing market value will be determined by CaratLane. This feature is not available for international orders (orders that will be shipped abroad from India). You are requested to place a call / visit any nearby store for placing return / exchange / refund request. All other returns shall be as per the normal process.  In case you wish to purchase multiple products using your SafeGold balance, each product must be ordered using a separate transaction.  Gold Weight Difference for all SafeGold payment orders shall be processed & considered as Offline Mode, wherein CaratLane shall refund the difference in NEFT to customer bank account details. Any decision on refund or exchange of purchased jewellery, if any, shall be at the discretion of CaratLane. On refund, the customers SafeGold balance will be restored in gms of 24KT (995) gold.  Any conditions which are not explicitly covered with respect to the SafeGold balance or jewellery purchase are at the sole discretion of SafeGold (Digital Gold India Pvt. Ltd.), and CaratLane respectively. You can select the jewellery of your choosing.  However, you can only utilise your SafeGold balance against the gold component in the chosen jewellery item. All making charges, precious and synthetic stones are excluded from the remit of this offer.  In case you wish to purchase multiple products using Safe Gold balance, each product must be ordered using a separate transaction. 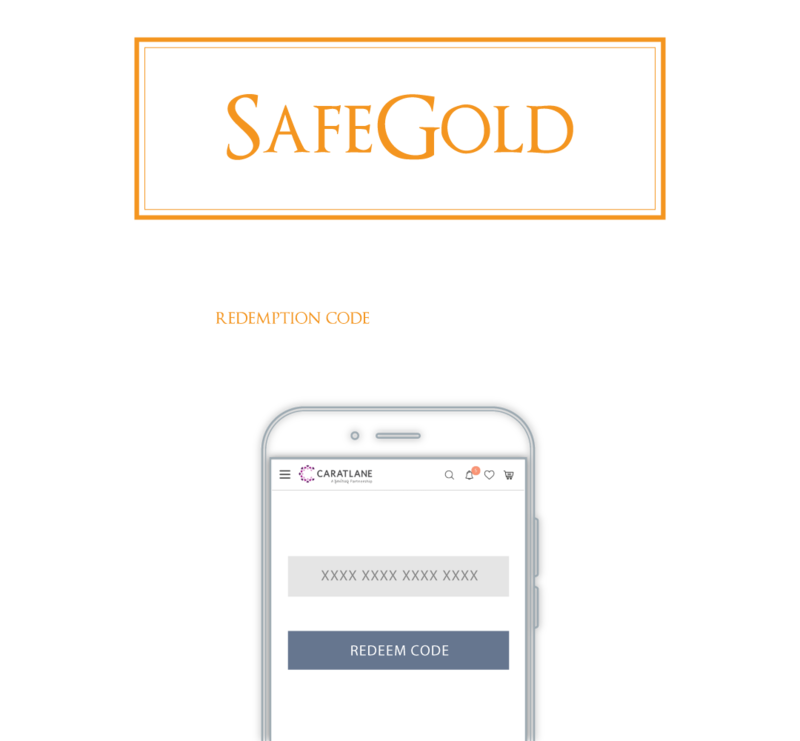 The gram for gram offer means that you will get the full value of your 24K SafeGold balance, converted to the equivalent without any amount deducted for “wastage” by CaratLane.  CaratLane products purchased through SafeGold are not eligible for a 30-Day Money Back or BuyBack from CaratLane, only Lifetime Exchange applies. Hence, you can opt to exchange the product that has been bought for another CaratLane product. The prevailing market value [for exchange of jewellery] will be determined by CaratLane. This feature is not available for international orders (orders that will be shipped abroad from India). You are requested to place a call/visit any nearby store for placing return/exchange/refund request. 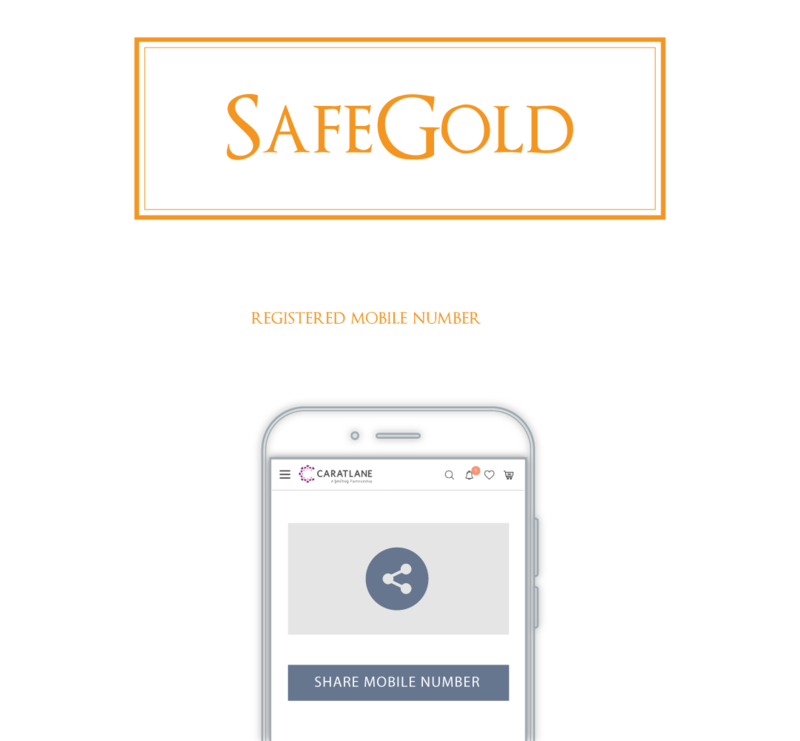 Gold Weight Difference for all Safe Gold payment orders shall be processed & considered as Offline Mode, where CaratLane shall refund the difference in NEFT to customer bank account details.